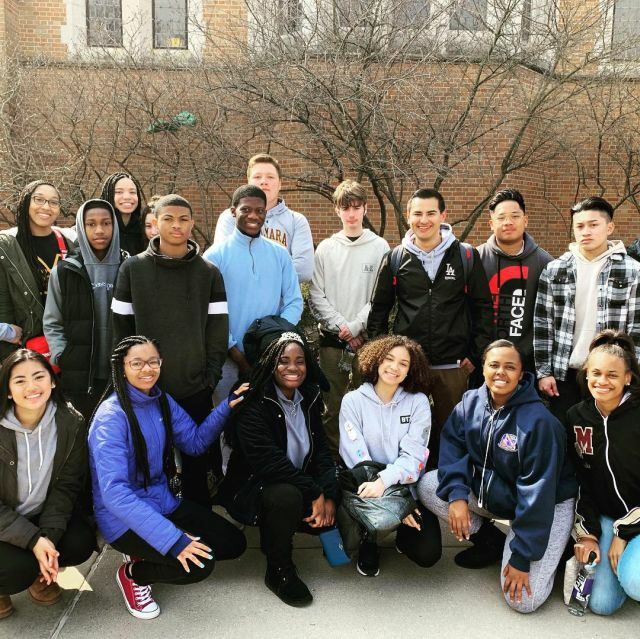 CONGRATULATIONS to the 246 Mustang Musicians who had the fabulous opportunity to travel to the University of Notre Dame and Holy Cross College, Harper College, and downtown Chicago. 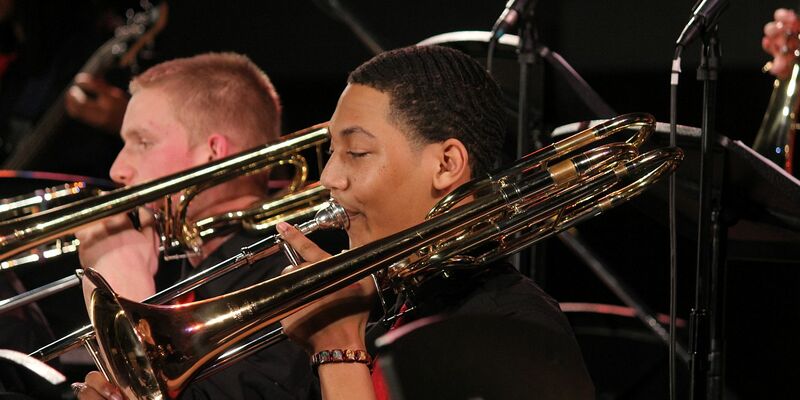 First, students participated in music clinics given by Notre Dame Music Faculty, followed by a select group of student musicians performing a recital for the retired Holy Cross Brothers at Holy Cross College. The following day, at Harper College, each music ensemble performed three pieces for a highly qualified panel of judges, followed by a brief workshop given by one of these elite and accomplished musicians. After two full days of music making, the entire group of students, chaperones, and BMHS faculty and staff enjoyed a day of tourist attractions in Chicago including Water Tower Place, Gino's East, The Cloud Gate, and the Museum of Science & Industry Chicago, followed by a spectacular cruise aboard The Odyssey Lake Michigan. Finally, and most prestigious of all awards, the entire group representing Bishop McNamara High School was awarded the Esprit De Corps aka "Spirit Award" for exemplary attitude of positive support and outstanding personal behavior throughout the festival weekend. Personal integrity, quality character values, a desire for excellence, and a spirit of cooperation serve as the cornerstone qualities of the Esprit de Corps Award. Well done, Mustangs! The Band, Orchestra and Choir programs would like to thank the amazing parent/guardian volunteers who chaperoned our trip! We could not have done it without you. For more information about Festivals of Music visit their website HERE. For more information about the Bishop McNamara High School Fine Arts Department, go to Fine Arts. Enjoy the March 22nd video edition of Mustangs News in a Minute where Acacia Crockett-Oliver '19 and J'TA Freeman '19 give you the latest from Bishop McNamara: We highlight what will be a very busy spring for the Fine Arts Department starting with the upcoming spring play The Enchanted and the Music Program's annual trip - this year to Chicago! We also highlight the Spring Sports Teams 2019 (Baseball, Softball, Girls Lacrosse, Boys Tennis, Track & Field, and Golf) as well as a special spotlight on Mr. Matthew Buckley '98 and Ms. Denise Kazimer LR '89. 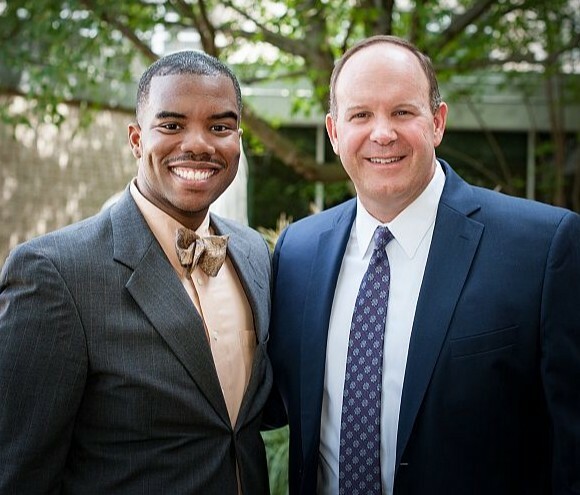 We are excited and honored to announce that our Principal, Dr. Nigel Traylor, has been selected as one of the top 40 under 40 leaders in Prince George's County! Eight years ago, the Prince George's County Social Innovation Fund (PGCSIF) launched 40 UNDER 40 Prince George's as a pilot effort to identify the best and brightest in Prince George's County across a range of fields including medicine, law, engineering, business, the arts, and education. This program is sponsored by the Greater Washington Community Foundation, which has also supported several initiatives here at Bishop McNamara. Recent recipients to be named to the Prince George's County 40 Under 40 List from Bishop McNamara High School include Ryan Middleton '06, who was named to the 2017 list. Confident that the county is ripe with exceptional talent, PGCSIF wanted to offer a hometown recognition of excellence, youth and leadership. Every year since its inception, the numbers of nominations have increased and the competition has become even more intense. Indeed, Dr. Traylor's selection to be named as part of this group is all the more impressive given these developments within Prince George's County. Dr. Traylor is an innovative educator who personally witnesses to Bishop McNamara's vision to form empowered leaders, inspired by the Gospel, who transform the world. He is dedicated to the continued academic success of every student and to the mission of Bishop McNamara High School as a Catholic and Holy Cross school. His positive attitude balanced with his humility are marks of his excellence as an educator and it is these qualities that inspire colleagues and students alike. Dr. Traylor is also an extraordinary role model for our community. He holds several advanced degrees, including a Doctorate of Education with a specialization in educational and organizational leadership from Nova Southeastern University, a Master of School Leadership degree from the University of Pennsylvania, and a Certificate in Advanced Education Leadership from Harvard University. Dr. Traylor is truly a blessing to this community as well as to Prince George's County and we wish you continued success advancing our mission to educate hearts and minds. As Fr. Moreau, our Founder, has described of educators such as Dr. Traylor, "You are for Holy Cross!" The Bishop McNamara High School Choir had the honor of performing at the Donald W. Reynolds Center for American Art and Portraiture in Washington, DC. The performance was held for the Combined Federal Campaign Annual Finale and Awards program, whose slogan this year was Show Some Love (see photo). The photo of our students was taken in the Atrium of the Donald W. Reynolds Center for American Art and Portraiture, home to the Smithsonian American Art Museum and the National Portrait Gallery. Congratulations, Choir Director Mrs. Rhoda Sutton and BMHS Choir students!